The UK Codes of Practice for commercial sailing & motor vessels (Blue & Yellow Codes & the later Red Code) were born out of the Code of Practice for Sail Training Vessels published in 1990 following the tragic loss of the Marques in 1984. The UK Workboat & Pilot Boat Code (Brown Code) originated from ideas put forward by industry & UK MCA in the mid 1990’s. They realised the unique requirements of the workboat sector & the need for common standards to be adopted for “non-convention” workboats, i.e. with a Load Line Length of less than 24M & carrying up to 12 passengers. A technical working group was formed & the Brown Code was published in 1997. It was well received by industry & the appointment of Certifying Authorities by the MCA allowed certification to a high standard to be achieved without the need or high cost of using Class Societies . The major Class Societies were appointed as Certifying Authorities but played a minor role in the industry compared with the specialist CA’s such as MECAL & SCMS (MECAL was then under ownership of the Institute of Marine Engineers – later rebranded as IMarEST). Later came the Harmonised Code (MGN280) which combined both the Leisure Commercial (Blue, Yellow, Red Codes) with the Brown Code. This was thought to be a good idea at the time but in practice it was perceived as a dilution of the original Brown Code when applied to workboats. This was highlighted at a IMO workshop in 2012 attended by international delegates to discuss the development of a new type of workboat for the fast developing windfarm sector in NW Europe. It was stated by some non-UK delegates at that workshop that the UK MGN280 standard was not fit for purpose particularly when applied to this new breed of fast catamaran Offshore Energy Service Vessels (OESV’s). Initially this was poorly received by the UK sector but it soon dawned on us that they were right & there was therefore an urgent need to resurrect the Workboat (Brown) Code & bring it up to date. A new Technical Working Group was established by the industry (NWA – National Workboat Association) leading to the publication of an interim update of the Brown Code entitled “Industry Working Group Technical Standard” & launched by the MCA at the UK Seawork Exhibition in June 2014. This new code attempted to catch up with evolution in workboat design, including methods of addressing particular hull loading & stability issues of specialist vessels eg OESV’s . In support of the Workboat Code initiative MECAL , supported by other workboat CA’s, lobbied the MCA to increase the standards of Certifying Authorities & their surveyors in order to support the new code. MECAL chaired a professional standards working group in 2015/16 & gained agreement from all stakeholders that there would be a minimum standard established for surveyors together with training & CPD programs to be introduced in co-operation with IMarEST & others, leading to the ultimate professional recognition of “Chartered Marine Surveyor”. This is also being incorporated into a new marine surveyor apprenticeship scheme sponsored by IMarEST. Another initiative from the NWA in 2017 was a new code to cover the gap in International & Domestic Regulations between workboats of under 24M Load Line Length & the SOLAS Convention threshold of 500GT, including other applicable Conventions below 500GT eg Safety Radio at 300GT, Load Line at 24M, MARPOL , IMDG, MLC etc. A working group was established by the MCA, including the NWA & MECAL, & a draft code was presented in early 2018. Part of this enabled the Certifying Authorities that met high professional standards & quality accreditation, in addition to Class Societies, to be able to survey & certificate domestic vessels (those not engaged on international voyages & therefore coming under UK Shipping Regs). Unfortunately this was vetoed at senior level in the MCA at the last hurdle. Understandably this was met with great disappointment by the industry who were not prepared to accept the high cost & operational delays of using Class Societies for domestic vessels & the Class Societies themselves were unwilling to become involved with existing vessels & would insist on full classification for new domestic vessels. So this code was parked in May 2018 although it may be resurrected by one of the other Red Ensign Group Flags or even the MCA in the future. 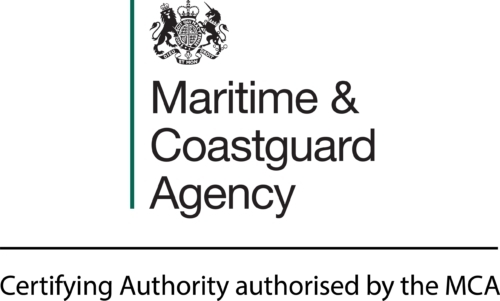 The MCA & Industry Technical Working Group continue to improve the IWGTS 2014 towards publication as a full Workboat Code Edition 2 with the goal that this could be adopted internationally as an industry standard (similar to the UK Large Yacht Code) & backed by applicable Merchant Shipping Regulations. This has been further fuelled by the IMO Instruments Implementation Code (IIIC) which has particularly influenced changes relevant to some IMO Conventions that fall into the small vessel codes (eg MARPOL, IMDG, MLC). The “final” draft of WB Edition 2 of Aug 2017 incorporates these changes. We at MECAL are continuing to improve our professional standards & training with a view to being accepted as a “Limited Recognised Organisation” by the MCA in the future. Unfortunately, the distraction of Brexit in the UK significantly slowed down the process towards publication of the new code due to a further diversion of resources within UK Govt & MCA. However, under pressure from the industry, we are now informed by the MCA that it has been resurrected & is to be published via a Merchant Shipping Notice (MSN) by the end of 2018. There is also a meeting scheduled for early November 2018 to discuss the application of parts of Workboat Code Edition 2 to existing workboats, particularly in areas where safety standards have evolved due to changes in regulations & resulting from eg MAIB reports. MECAL continues to be closely involved with all the UK Small Commercial Vessel & Workboat technical working groups & with IMarEST & others to develop professional standards.